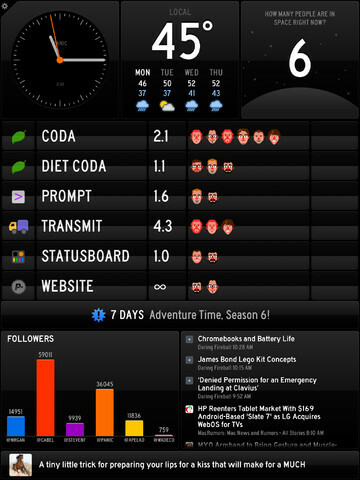 Status Board by Panic is a detailed information dashboard designed for the iPad. 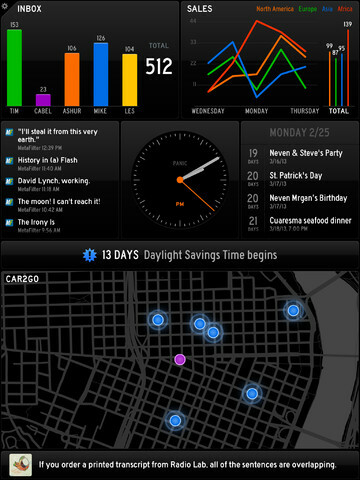 The app displays the time and weather, as well as your calendar, email, Twitter, and RSS feeds in an organized, customizable way. Status Board also has two “pro panels” for business use that display graphs and tables, and saavy users can even code their own custom panels using HTML. The iPad app is currently available for download in the iTunes App Store.